I think my work speaks for itself. That is one of the great things about realism. I make every effort to be realistic in my life, facing what is going on at any given moment. That’s how I became an environmentalist: by facing what is going on, even if it is unpleasant. I like to explore nature and all the wildlife – camping out and painting for weeks at a time – just me and nature – the sun, moon and stars. That’s blissful. I like to follow my bliss, on canvas or going off trail in the rainforest. Life is short, so I do what makes me happy. 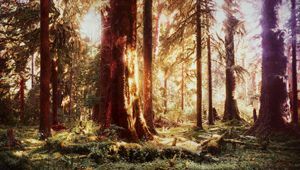 Linda Lundell is an environmental visual artist with a focus on the Olympic Rainforest. Her work combines realism with abstract images to evoke feelings of beauty, the presence of spirit and the awesome power of nature. 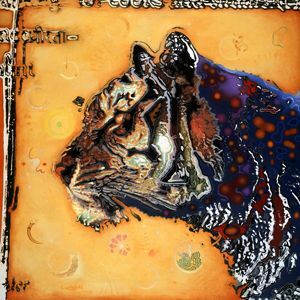 She works in two media—oil paint and cloisonné enamel—both of which she has developed and mastered over the past 40 years. She earned a Masters of Fine Arts from Rhode Island School of Design and spent the last year in the program in Rome, Italy, after receiving a scholarship. Her undergraduate work was accomplished at California State University, Long Beach. 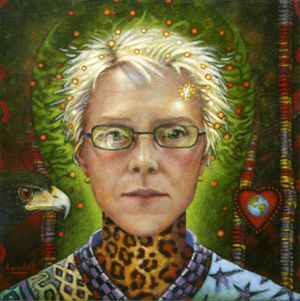 Lundell has shown her work at the Smithsonian, as well as other museums and galleries throughout the United States, and is also in the collection of a number of notable people including past President Gerald Ford; Graham Nash of Crosby, Stills, and Nash; Dean Martin; and June Allyson. In 2004 Lundell founded an environmental art group called EcoArtLA with a focus on sustainability and the study of our environmental crisis. They exhibited in Los Angeles at the Barnsdall Park Junior Arts Center Gallery in 2007 and the group continues to work together. Lundell spent the first part of her life living in Southern California. 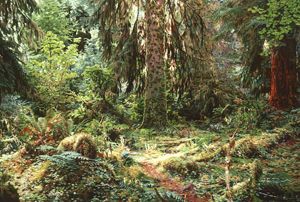 However, she has now moved to the state of Washington to be close to the Olympic Rainforest, where she finds her spiritual and inspirational base.